I have been trying to take photos of the progress each month. There hasn't been a lot o significant change. 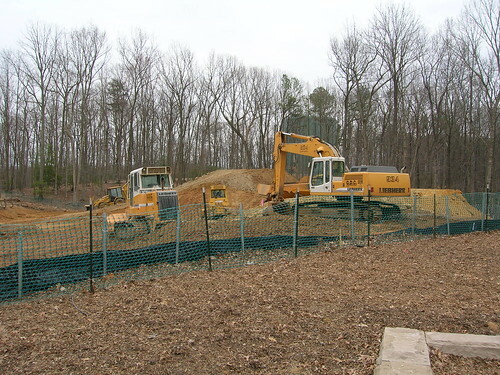 Its been mostly moving dirt around. 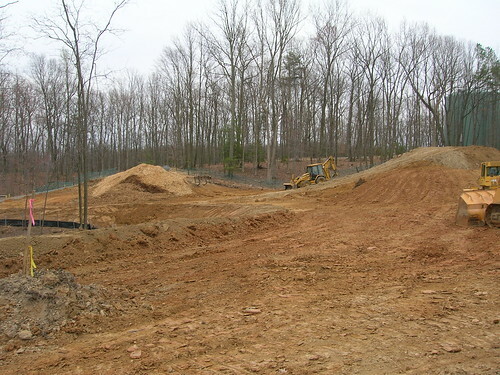 Well, I know there has been more to it, sewer and drainage, underground electrical stuff, to someone such as myself with no understanding of engineering, it looks like moving dirt. 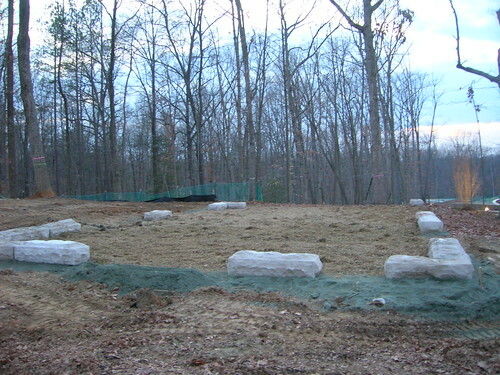 The next two pictures show the site of the chapel. 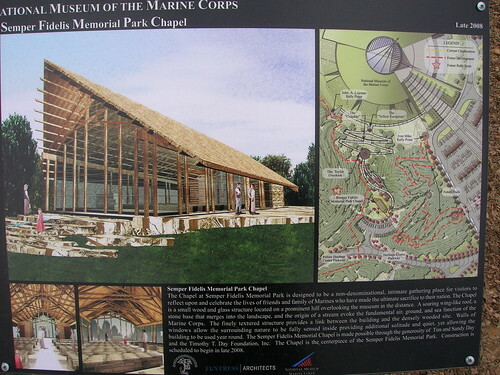 Its dimensions are mapped out with stones. 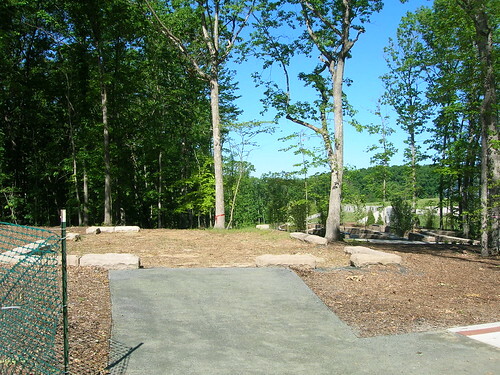 The first picture was taken in January 2008, the second picture in May 2008. 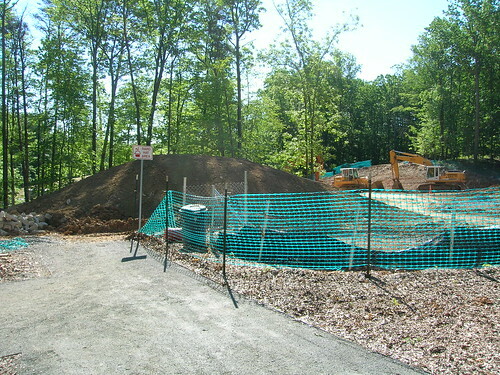 The gravel front walk had been added in March, however, the May photo looks less bleak. 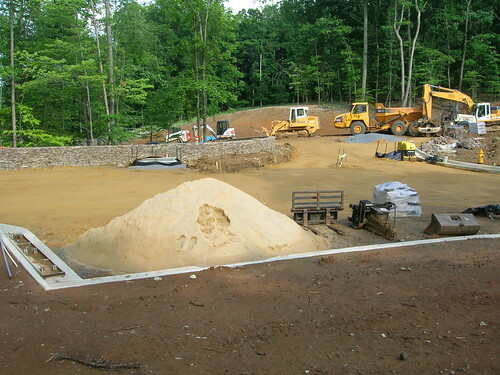 Below, I am standing on the gravel walkway in February 2008, looking out to what will be the parking lot directly infront of the Chapel. 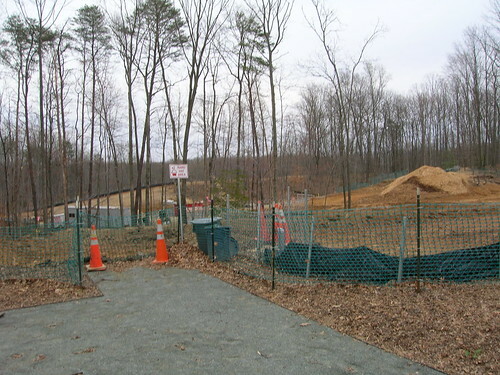 By March 2008, a lot of trees have been removed and the site is taking its general shape. Below, March 2008 standing in the front entrance of the chapel looking right. 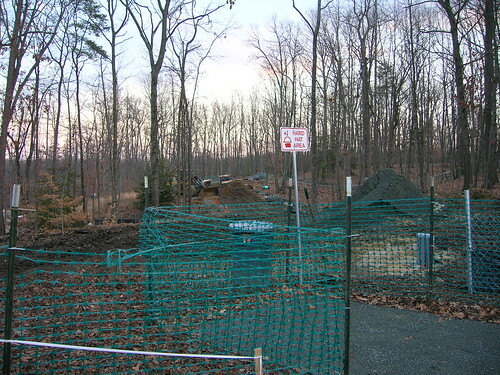 Below, standing in the chapel entrance looking straight out to the middle of the future parking lot. In April 2008, it doesn't look much different looking to my right from the chapel entrance, the only difference, the leaves on the trees. 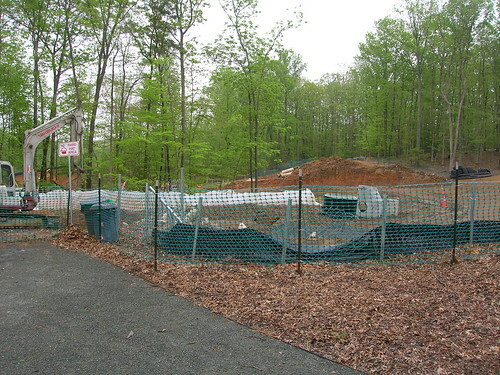 April 2008, from the chapel entrance to the left and down the walkway leading to the future parking lot. 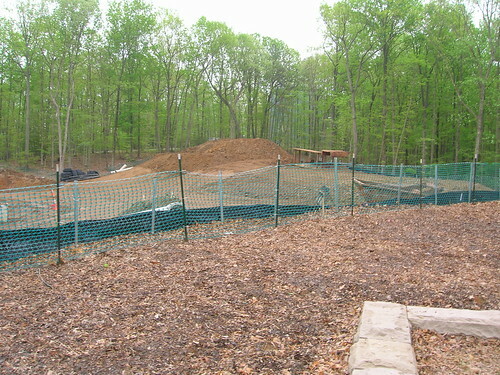 In May 2008, more leaves and the 'hole' is bigger, while the pile of dirt to the left is taller. 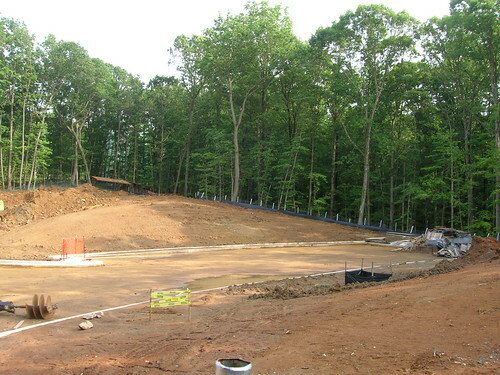 July 2008, its really taking shape now! 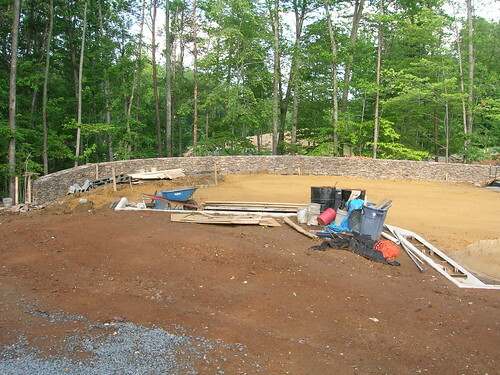 They have put up the stone walls, maybe on my next visit there will be gravel in the parking lot or blacktop! This is looking left from the chapel's entrance. This shot is looking straight ahead from the chapel entrance. And this is looking to the right from the chapel entrance. I believe there will be parking available for 40 cars. The chapel can only seat 70. It will be available for small weddings, funerals and memorial services as well as personal reflection. 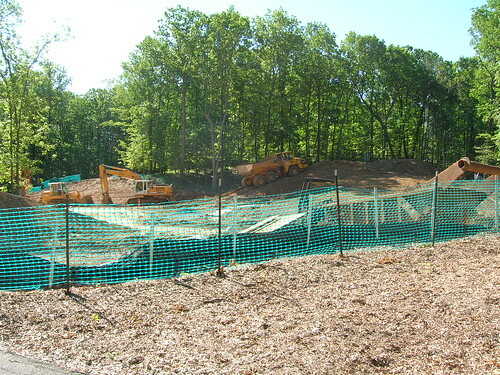 Construction on the chapel is to begin this fall and will be completed by next spring. It looks like they are on schedule! What the HECK is THAT!? !